Over the last few years poor old Peugeot has had a few stinkers. Not only were there one or two less-than-attractive offerings, but the reliability took a bad beating. The new range has paid particular attention to quality in both materials and manufacture. Breaking years of tradition Peugeot brought out a new model with a pre-used nomenclature. You see, the 308 has been around for ages and frankly wasn’t one of my favourite models. The sumptuous ride and luxurious feel of the interior seemed resigned to history never to be seen again. Then the new 308 quietly appeared from nowhere. There was no fanfare or glitter, and certainly no press event with booze, canapés and flashing cameras. 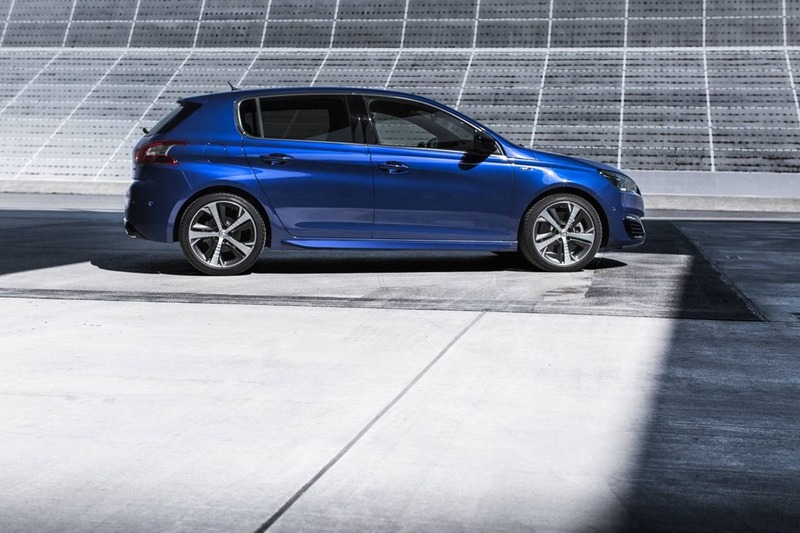 That’s a shame because the new 308 is fabulous. I don’t mean exciting, because there is no neck snapping “hot hatch” model, but the ride and comfort feels like old Peugeots made modern. The 151kw GT is the top of the range and would be the pick. Neat and modern with the top models having LED head and tail lights. 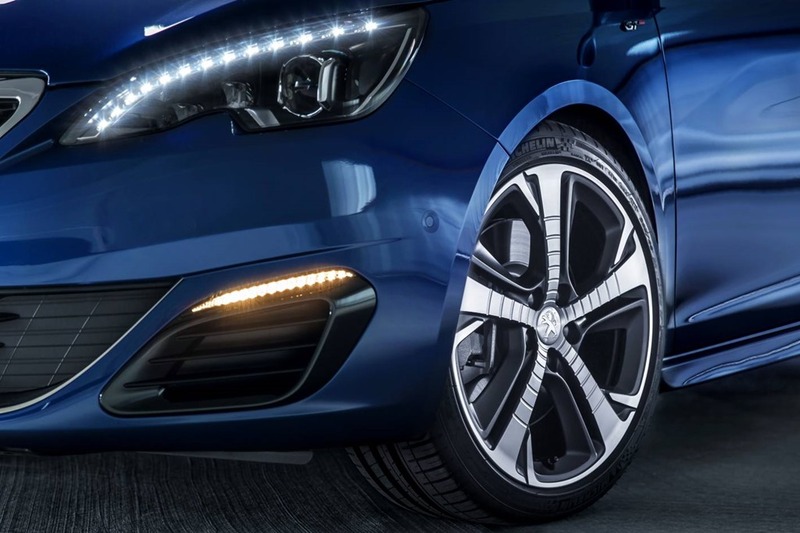 There are built in daytime running lights which are designed to be ultra-bright for safety during the hours where headlights aren’t needed. The range of alloys are tasteful and vary in size from 16” TO 18” but the entry level scores rather unforgivable 15” steel wheels with “hub caps” to give onlookers an impression of class instead of poverty. The shape feels far better resolved than the old model. The grille and headlights look aggressive and are deeply sculptured with a small tasteful grille. Below is a large air intake taking up the entire lower bumper section. The side profile has a wedge shape which ends in a high rump with the tail lights having a claw-like feature. 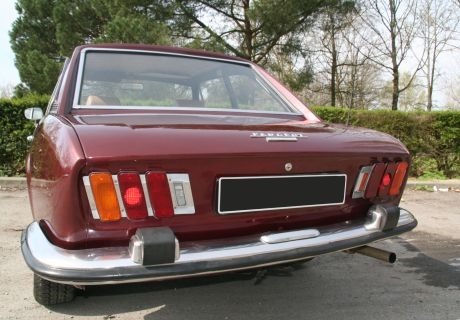 Peugeot say this resembles the delicious 504 coupe/convertible of the 70’s and in a way it does. 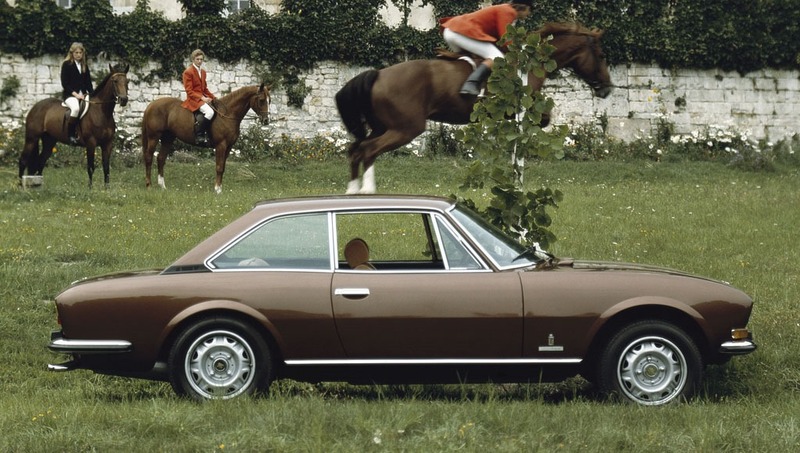 The Pininfarina designed 504 coupe was one of the most beautiful Peugeots ever made. There are some deep sculptural refinements to make the view for those following a bit more interesting than the Peugeot hatches of the past. The old models were a bit dreary and pompous from behind. The cabin is as comfy as a billionaire mining magnate’s lounge room, but far more tasteful. Even the base model has front seats as cosy as the Jason recliner-rocker that dad jealously guarded. The coverings are fabric with heating, massage, and leather an option for those choosing the top levels. 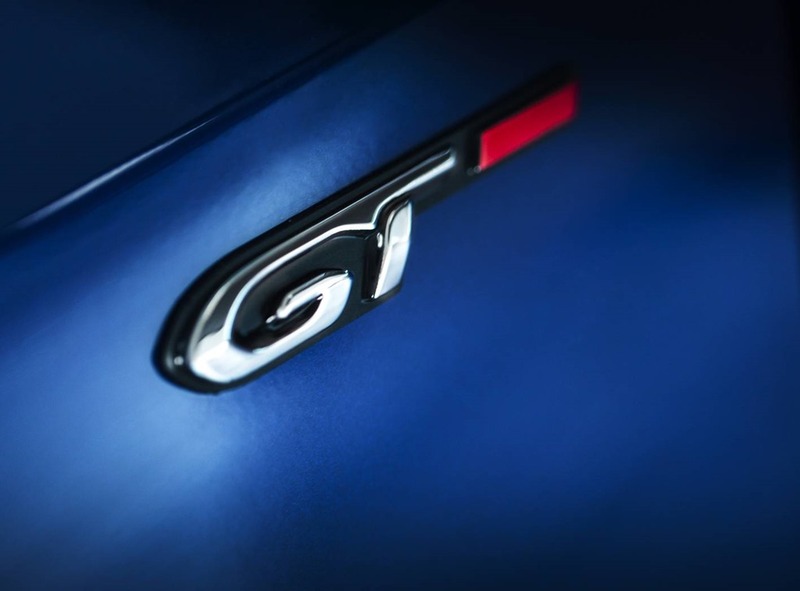 The GT gets Alcantara (a type of velour looking fabric) and vinyl as standard. I can’t believe there are still cars which have “pleather” on their seats. 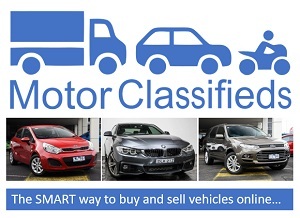 Mind you the base model C Class and 3 series do too. If you’re a good boy, you can even have a gentle rub-up because the front seats also have that built in massage and heating function. There is a sense of airiness because of the thoughtful way frippery has been eliminated. Somehow the neatness has a calming effect on the occupants too. The cockpit looks strange at first because the steering wheel is tiny. You look over it to see the instrument cluster but once you’re used to it you realise how comfortable it is. The only thing I didn’t like was the tacho whose needle seems to read the wrong way round. Instead of working the same way as the speedo it is the opposite so the speedo needle goes from left to right and the tacho needles reads from right to left. Between the main dials, there is a discrete LCD for driver info with a button on the end of the stalk to scroll through the functions. The centre mounted 9” screen is the Pièce de résistance. 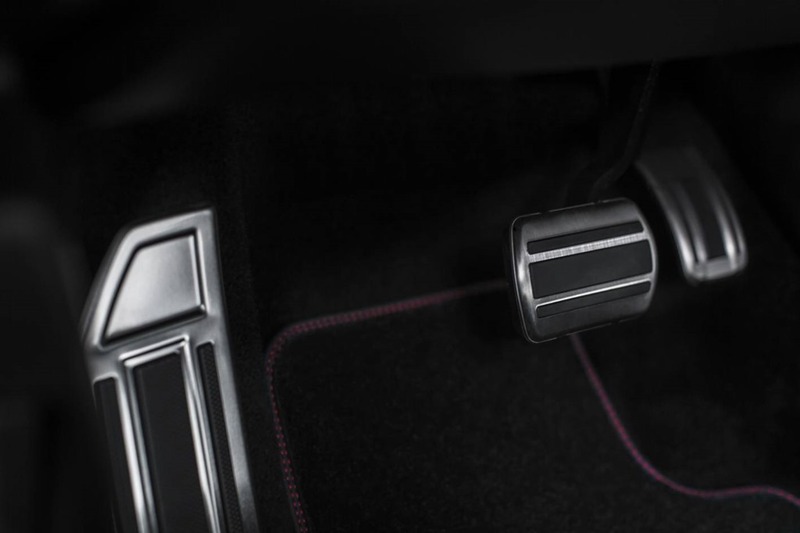 Most of the untidy buttons and knobs have been banished leaving a clean neat centre console. There is the obligatory slot for a CD/DVD, and a volume knob, but all other functions have been consigned to the menu system. 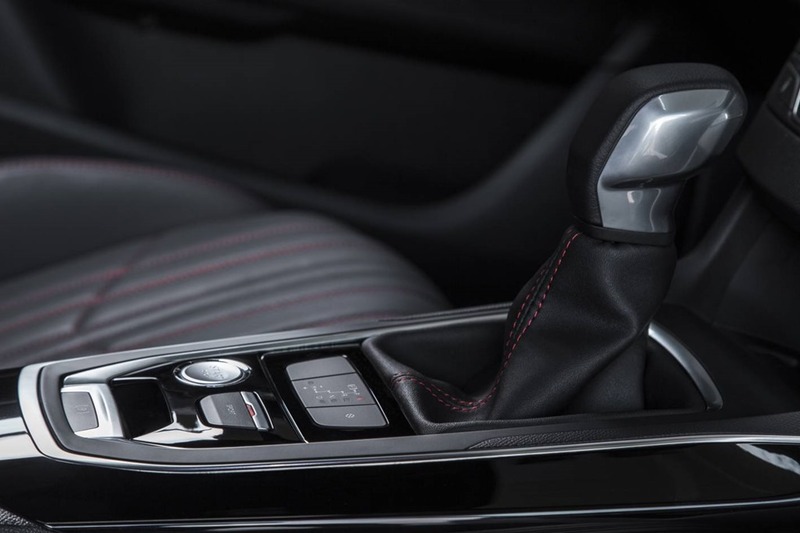 Unlike BMW and Mercedes Benz, the 308 has a touch screen and is controlled directly rather than by a mouse pad and button between the front seats. I like it very much. 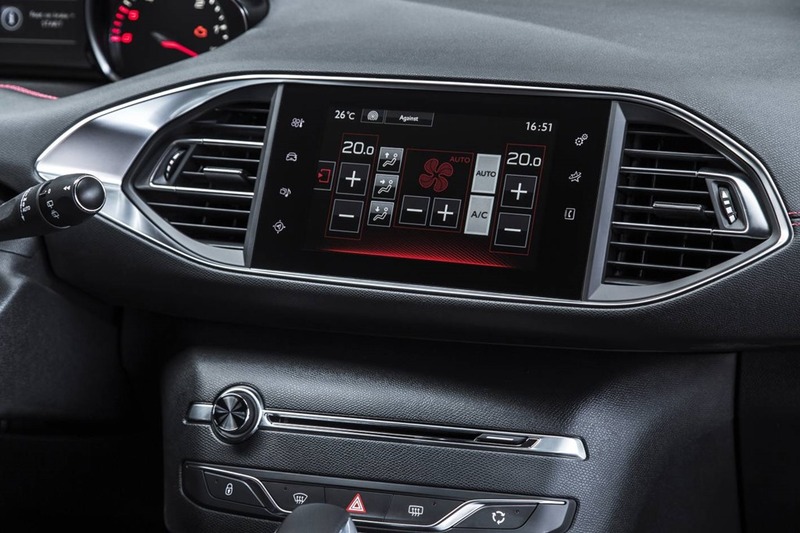 The radio, climate control and customisation functions are all in neat menus. I sense there may have been a Gen Y “gamer” involved in the design because it looks suspiciously like a sideways Ipad Mini. The whole thing works like your phone and by tapping icons you are able to bring up functions including satnav, flipping from one to another with gay abandon. It feels foreign yet familiar at the same time. Once you learn to trust it, it feels second nature. It needs a home screen where you can park you favourite functions. The Satnav can be a bit finicky and requires big hugs before it starts giving directions. I suspect this would be more operator error than anything else but not being able to operate a simple system without studying it can be annoying when you’re in a hurry. Unlike the Citroen I drove recently, the Peugeot has a few hard switches for some functions such as the stop/start. I find this feature irritating beyond belief and switch it off, but as it resets when the ignition is off, you must turn the function off whenever you start the car. The screen is responsive with little lag between presses. Using the steering wheel buttons for volume and station search is a better option because there is less fumbling about. Fumbling about should be kept to a minimum where speed is concerned. Peugeot is very proud of their I Cockpit (yes, they really did say “I” Cockpit) and justly so, it is brilliant. Some models have the full length sunroof with internal blind but sadly it is only a single fixed panel of glass. Most of us would prefer a section which slid back to let in the sunshine on days when climate change won’t age your skin 10 years per hour. There are a range of engines and all are either new or tweaked to within an inch of their lives. The 3 cylinder 96kw engine has a surprising 230Nm of torque. Do you remember the 3 cylinder micro-hatches of the 80’s that wouldn’t pull the skin off a custard? Those dreadful little boxes of misery bear no similarity whatever, except for the familiar raspy growl from under the bonnet when you stick the boot in. It still manages 100 KPH in under 10 seconds but on the highway will use only 3.9 litres every 100 kilometres in the manual. Once upon a time you could only get that with a diesel or hybrid. But of which cost far more to buy. 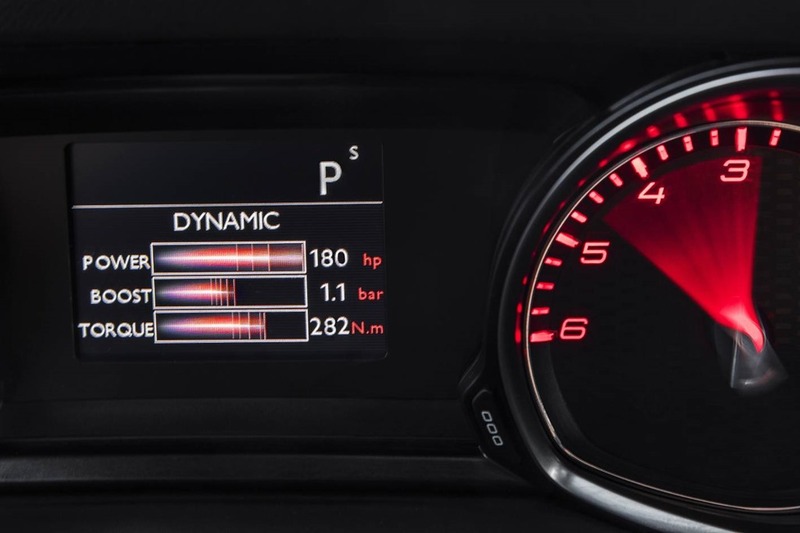 The 1.6 turbos are slightly faster at 8.5 secs to a hundred for the 110kw and 7.5 for the 151kw GT with the 2.0L diesels pumping out 110kw/370Nm and 133 kw/400Nm. The steering is delightfully sharp and ridiculously light at parking speeds but livens up no end once under way. Because it’s electric, it allows automated parking to be fitted but unlike most other cars, the Peugeot will also get you out of a tight spot as well as into it. There is blind spot warning too, but only in the GT. Both gearboxes are beautifully silky. Each has 6 speeds. The manual has a light clutch which takes no time at all to get used to, and the auto has a sports function with manual selection. Steering wheel paddles are only available on the diesel GT with the rest relying on the floor shifter if you want to feel like you’re doing some work. While we are on the subject, the GT has a petrol manual and an auto diesel. 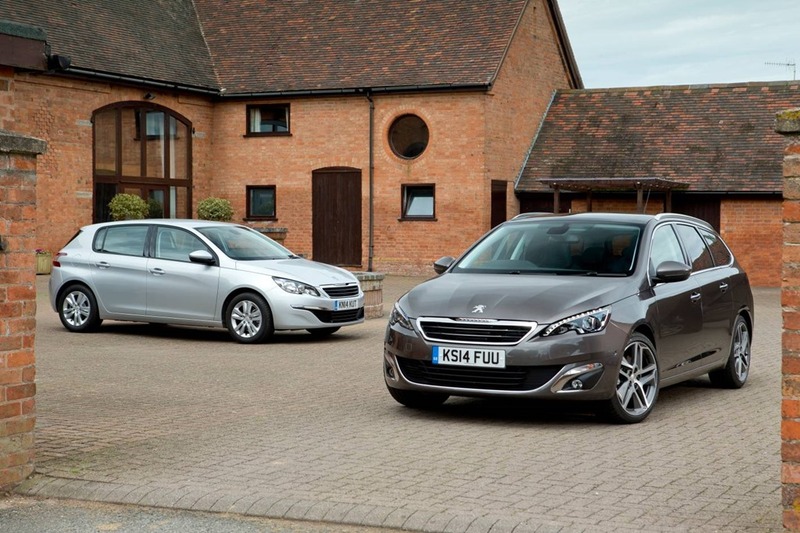 For some bizarre reason Peugeot always insists on providing you what they think you want. They’d be better off providing a base model, then letting you add the engine, transmission, and trim pack that your little heart desires. It would be a different matter if you could order the exact options you want ex factory, but you can’t. That’s the Frogs for you. The 308 is extremely fleet of foot. She changes direction faster than a Prime Ministerial promise, and stops faster than a budget sale speech. The ride take me back to the good old days of Peugeot where fabulous cornering didn’t mean broken teeth and rearranged organs because of the concrete used in the suspension. 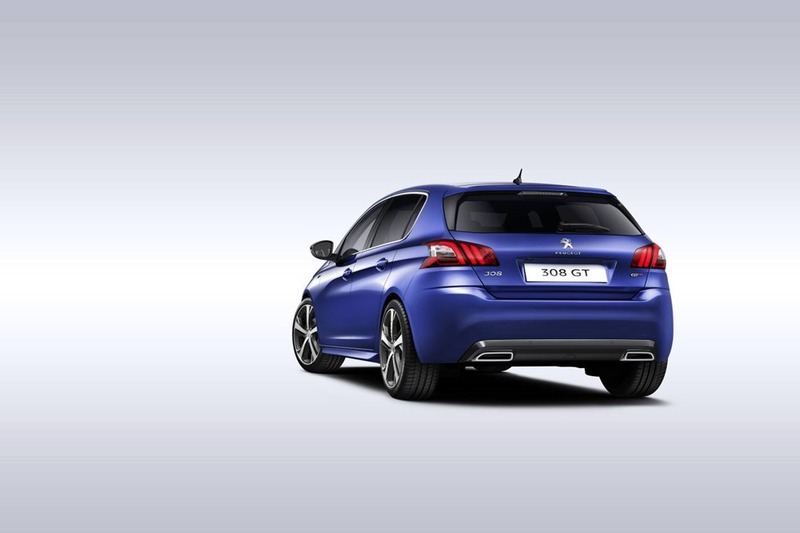 In recent years, Peugeots decided to forego there superb ride in favour of hard cornering even in the luxury models. It made the ride almost unbearable in the sports models. The RCZ-R comes to mind because you simply couldn’t live with it day to day. The 308 however is like a lounge on wheels. It seems to lope along happily floating over bumps, yet sticks to the corners like a fat kid on candy. You waft over speed bumps and pot holes yet slingshot itself around corners. It is simply a joy. There is lots of clever stuff going on underneath but it is soon apparent why the 308 has won so many awards. It really is that good. Then they go and put a reversing camera only in the top model which is like falling over before the last hurdle. The 308 in all engines and body types (there is also a wagon) is a joy to drive. There is bags of space, comfy seats, and loads of technology. I’d like all of the options available in all of the models. Having some only available in the top model (or bizarrely, second top model in the case of active cruise control) is annoying. 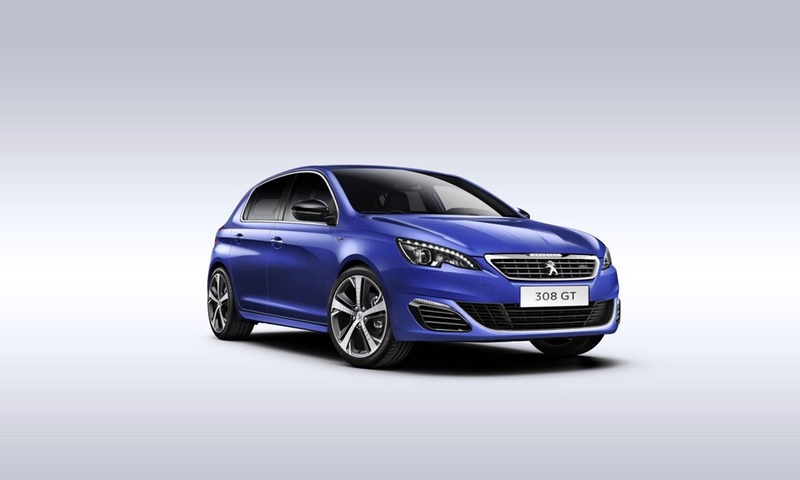 Peugeot might argue that the trim levels have been tailored to a price and I’d agree with them. However, buyers are savvy now and deserve to be able to choose as they would a smorgasbord. Having said that I am usually to criticise a long list of options. Perhaps I should shut up now. Would I buy one? Yes. I’d probably go for the top model but I’d be happier with the petrol in a manual. 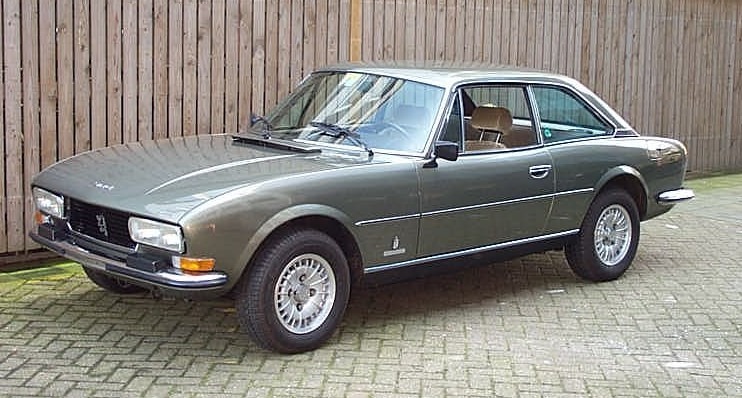 I love this car, it’s old school Peugeot quirk with a modern twist.